One of our most popular solutions - connect almost any audio device to your B&O BeoSound AUX input socket! One of the first Sounds Heavenly products to launch - and still today one of our most popular! Our high quality input cable allows you to connect a non-B&O audio device (such as a CD/DVD player, Receiver, Pre-amplifier, and more!) into your Bang and Olufsen Beosound, Beomaster or Beocenter music system using the "Aux" or "Tape" DIN socket. 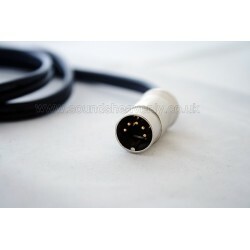 This cable will fit any BeoVision with an AUX or TAPE DIN socket - but as always, if you are in any doubt, please ask! We chose 5 pin DIN cables as they fit and work perfectly in the 7 pin DIN Aux sockets on newer B&O systems. Little known fact: the extra two pins are only used for sending remote control data to other B&O products - hence they are spare in this application. Additionally this design choice also allows the cables to fit pre-1986 B&O products (which came fitted with 5 pin DIN sockets). 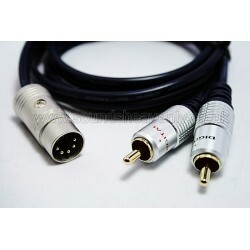 This cable can also be used to connect a Record Turntable to your B&O system, provided you have a Phono Pre-Amplifier to boost the signal up to Line level!